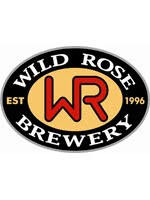 Alberta craft brewer, Wild Rose Brewery, is pleased to announce the launch of their latest Seasonal Release Wild Rose HOP SMASHED IN Belgian Style IPA on April 12, 2012. This unfiltered amber coloured ale is a unique version of an IPA. A generous amount of hops are "smashed" into the brew along with a specially selected Belgian yeast, to provide notes of fruit and spice. Unique in taste and aroma, this brew brings the best of Belgian and North American brewing traditions together. Brewed using the best Alberta-grown malted barley, Wild Rose HOP SMASHED IN Belgian Style IPA is assertively hopped with Vanguard, EKG and Cascade hops providing traditional IPA characteristics. Fermented with a Belgian yeast lends a fruit and spicy clove character for an ale bolder than your average IPA. Food Pairings: The bold hop flavours combined with the spicy characteristics in the HOP SMASHED IN make this brew a great match for grilled or roasted beef and spicy fare. To celebrate the launch on this brew, a special Cask Conditioned batch of the HOP SMASHED IN will be tapped on Friday, April 13th at 4pm MST at the Wild Rose Brewery & Taproom. Crafted in limited quantities, Wild Rose HOP SMASHED IN will be available in 650ml bottles at select liquor stores in Alberta including Coop Wines & Spirits, and on tap at a number of select locations including The Ship and Anchor in Calgary and at Wild Rose Brewery & Taproom.